Sanction of the President of India, after consultation with the Chief Justice of India, is a pre-requisite even for registration of complaints, the Bench observed. 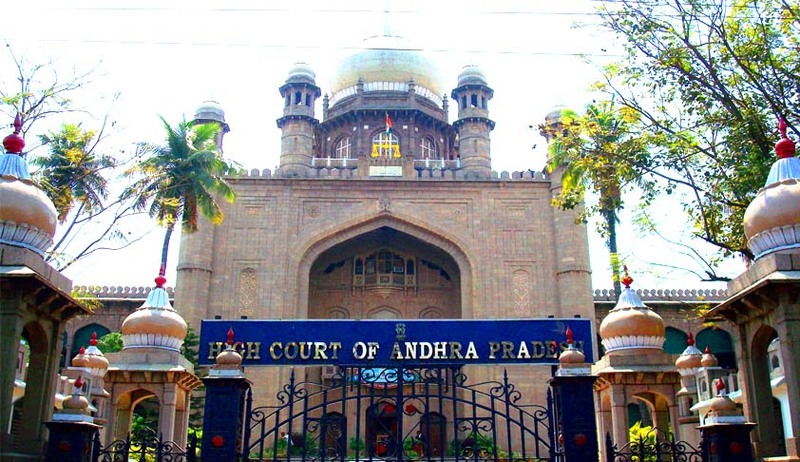 The High Court of Judicature at Hyderabad in K.Veera Raghava Reddy vs. State Of Telangana, has held that no complaint, under Section 154 of Code of Criminal Procedure, can be registered against a sitting high court judge even for matters unconnected with his judicial duties, except with the sanction of the President of India, who is required to consult the Chief Justice of India before according any such sanction. The bench made this observation while deciding the maintainability of writ petition challenging the refusal by Station House Officer, Charminar police station, to register a case on a complaint against sitting judges of the high court. The petitioner, on behalf of his daughter, had filed a writ petition to declare the action of a public school, in not releasing the progress reports of his child, who studied 2nd class during the academic year 2014-15, and in not promoting her to the 3rd class, as arbitrary and illegal. In that writ petition, the single judge had passed an interim order to release the progress reports of the child in so far as her 2nd class performance was concerned, and to permit her to take re-test, if necessary; no steps would be taken to expel the student or pressurise the parents to remove her from the school; and depending upon the re- examination result, if any, the school would promote the child to the 3rd class in the next academic year. Not satisfied with the order, the petitioner preferred a writ appeal before the division bench, which was dismissed. Thereafter, stating that the orders in the writ petitions and writ appeals were contrary to Section 16 of the Right to Education Act, the petitioner filed a complaint before the SHO complaining that the judges of the high court had committed offences under the Indian Penal Code and Section 17 of the Right to Education Act. But the said complaint was not registered under Section 154 CrPC. Challenging the refusal to register complaint, the petitioner approached the high court again. The division bench, comprising Acting Chief Justice Ramesh Ranganathan and Justice A Shankar Narayana, observed that sitting judges of the high court are provided immunity against civil liability and criminal prosecution for their judicial acts, (including Judicial Orders passed by them), under Section 1 of the Judicial Officers Protection Act, 1850, Section 77 IPC and Section 3(1) of the Judges Protection Act, 1985. “Sanction of the President of India, after consultation with the Chief Justice of India, is a pre-requisite even for registration of complaints, under Section 154 CrPC, against Judges of High Courts even for acts unconnected with their judicial functions,” the bench said. The writ petition was then dismissed with exemplary costs of Rs.25, 000 for the ‘unwarranted assault’ on the judiciary in general, and on the sitting judges of high court. “Such frivolous and unwarranted complaints and writ proceedings against sitting Judges are on the rise, and such proceedings appear to be instituted only to brow-beat the Judge, and prevent him from discharging his judicial functions without fear or favour, it is necessary to thwart such attempts to intimidate the Institution of the Judiciary, and prevent the portals of this Court from being abused by unscrupulous litigants,” the bench observed.